72 Hours in New Orleans Travel Guide | Valet. For a relatively small city, New Orleans has a huge personality and reputation. The expectation of good times, good food and plenty of good drinks certainly looms large. And while you'll no doubt find fun and indulgence around every corner, New Orleans is also a town steeped in three hundred years of converging traditions. A blend of French, Spanish, African and Southern cultures that has shaped a city and influenced its people in a way unlike any other American town. The history is palpable. It hangs thick like the Spanish moss dripping from the twisted branches of live oak trees or the air's omnipresent humidity. There's a richness here that extends far beyond the hedonistic debauchery found late at night on the booze-soaked blocks of Bourbon Street. 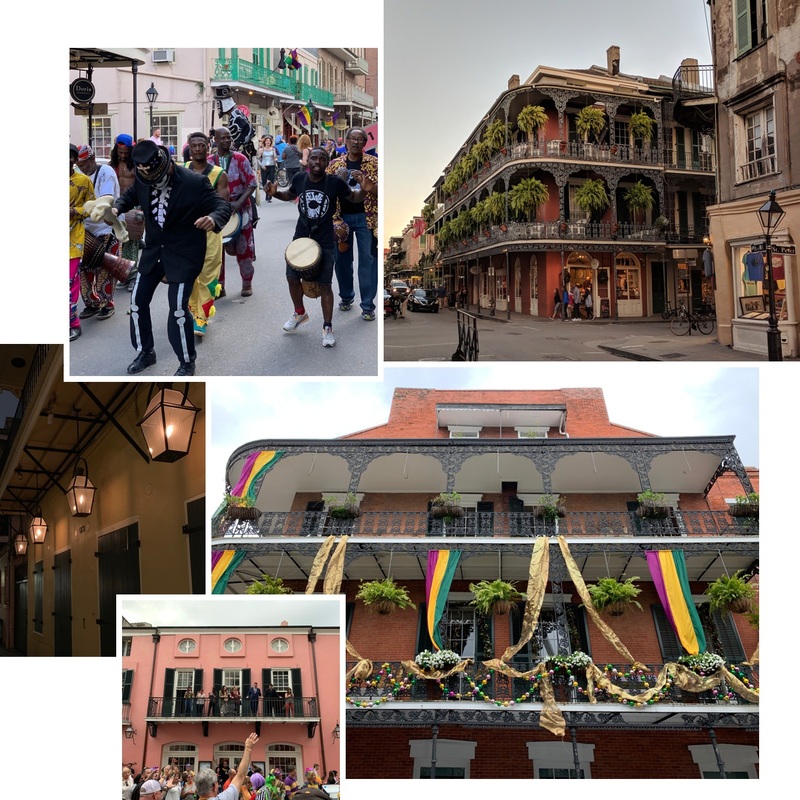 Stroll through the narrow cobblestone alleyways and quiet residential streets, pay respects to the birthplace of jazz (and the Sazerac cocktail) while satisfying your curiosity in the beguiling draw of soul food and Voodoo rituals. What I mean to say is that this is the kind of city you will happily get lost in. Discoveries and happy accidents abound, but to help you navigate, we've put together an ideal itinerary for a quick weekend trip with the best places to stay, drink and discover. Spring offers pleasant weather, Mardi Gras and Jazz Fest. The fall and winter promises agreeable weather and fewer crowds. Summer is even quieter, but the humidity is no joke. “Laissez les bon temps rouler” or “Let the good times roll,” in English. Lagniappe. Pronounced lan-yap, it's a little something extra. Like when the barista upgrades your coffee to a large or your waiter brings out a complimentary glass of bourbon milk punch. The uniquely Louisiana French concept breeds good will and, we'd imagine, return business. The city has a compact urban core, so the surrounding bayous of southern Louisiana aren't too far away. Consider a swamp tour, a steamboat cruise or visit Lake Pontchartrain. We touchdown on a misty morning in New Orleans and head to our hotel. We're staying at the Old No. 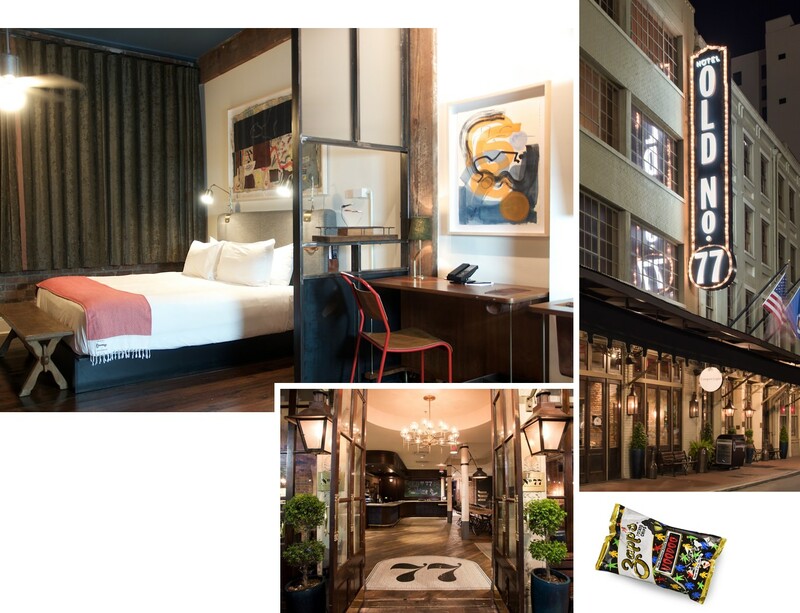 77, a handsomely outfitted boutique hotel housed in a sturdy, 165-year-old brick building. It's located in the arts district—conveniently nestled between the French Quarter and the Garden District—meaning you're close enough to the action without having to put up with any rowdy noise. The former coffee warehouse and chandlery has been turned into a stylish and sprawling space with tasteful interiors and an art-filled lobby emanating a lounge-like vibe. Our room is spacious with a mid-century-meets-industrial aesthetic. The exposed brick walls, well-worn plank floors and original windows are complemented with modern touches like an upgraded bathroom, bedside USB ports and a thoughtfully stocked minibar offering such Southern specialties as Zapp's chips, cajun-spiced nuts and local liquors. The hotel's staff is knowledgeable and helpful and whenever we enter our well-kept room, jazz is playing from the bedside radio—a really nice touch. Just down the street from the hotel is Mother's, a New Orleans institution that's been serving up down-home Southern fare since 1938. Our fried shrimp and oyster po'boy was as messy as it was delicious, served with a spicy cup of gumbo on the side. It's not a fancy place, more of a cafeteria-style diner, but the people are friendly, the food is affordable and the portions are generous. Now that you're full, meander a few blocks east to the French Quarter, the oldest neighborhood in the city that's still packed with historic charm. Underneath the intricate cast-iron balconies overlooking Royal Street are Creole townhomes that now house elegant antique shops, art galleries and restaurants with hidden courtyards. 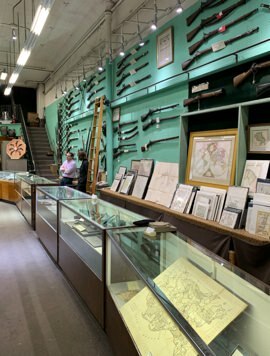 Pop into James H. Cohen & Sons, a rare weapons shop selling everything from old pistols and swords to coins and jewelry we can only assume came from some pillaged shipwreck in the gulf. Have an afternoon tipple at the famed Carousel Bar at the Hotel Monteleone. The large circular bar adorned with white lights and gilded mirrors really spins and they serve up a proper Sazerac for a decent price. Or try their signature drink, the Vieux Carre—a mix of rye, vermouth, Benedictine and bitters. Just mind the spinning on your way out. Of course, there's more to do than drink and eat in the Quarter. For a taste of the macabre side of this antebellum town, step into the Pharmacy Museum. Both eerie and entertaining, it's housed in an 1822 townhouse, which was once the home and shop of Louis J. Dufilho—the first licensed pharmacist in America, back when the city was still under Spanish rule. Or stop by the Museum of Death and you might, among exhibits on death rituals and mortuary tools, witness a famous Second Line parade, complete with a marching jazz band first mourning, then celebrating, the life of the deceased. You'll be ready for a few drinks after that. And thankfully, the Quarter is packed with fine bars serving up strong cocktails. From the more sophisticated spots like Bouligny Tavern, Napoleon House and 21st Amendment to the neon slushy Hurricanes of Bourbon Street's rowdy bars, you'll have plenty to choose from. 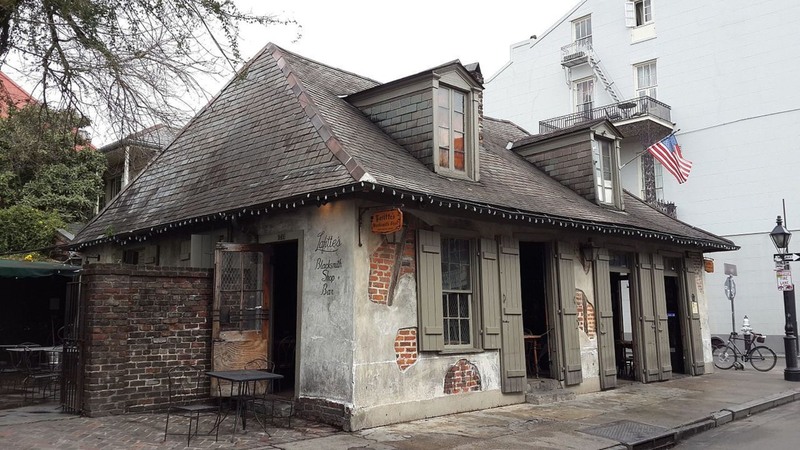 We did have to pop into what claims to be the country's oldest operating bar, Lafitte's Blacksmith Shop—housed in an old brick cottage that was (allegedly) the workshop of pirate Jean Lafitte and his brother Pierre. For a casual and cool (or yes, romantic if need be) dinner, Sylvain is a stylish gastropub that's won praise for its simple but elegant Southern fare and innovative craft cocktails. To enter, you slink through a covered alleyway into a candle-lit courtyard. Or there's Bourbon House, with its classic styling and towering walnut case that houses well over 100 different bourbons. Part of Dickie Brennan's restaurant group, it focuses on classic dishes made with local ingredients. In fact, over 70% of ingredients are sourced within 150 miles. 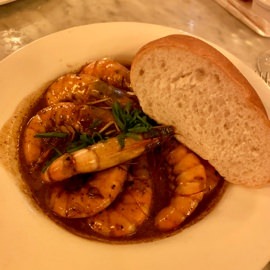 The BBQ Shrimp, whole local gulf shrimp slathered in spicy Louisiana bourbon barbecue sauce, is messy but worth the effort. After we finished dinner, the waiter surprised us with a small glass of bourbon milk punch because we'd asked about it at the start of the meal. 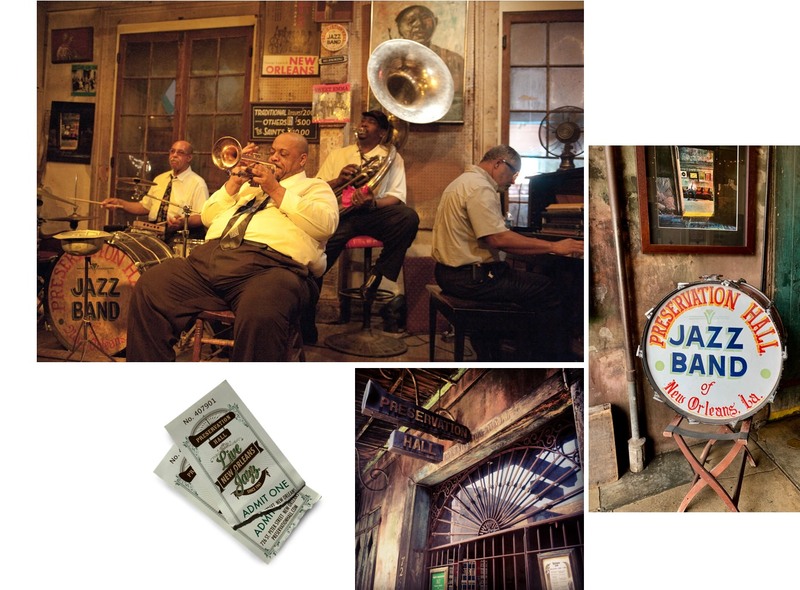 End your night at Preservation Hall for an unforgettable evening of jazz music. Stepping into this legendary venue is truly like going back in time. They haven't expanded it, or added spotlights or, hell, even chairs since it was founded in 1961. The walls are worn, and the space where audiences crowd on benches is cramped, but when the band starts playing, with their unending roster of visiting musicians, you take in a show unlike any in the city and leave in a far better mood than when you arrived. It's clear why, every night, there's a line around the block to get in. There are five concerts nightly from 5 to 10 pm, and while they don't serve drinks, you can bring over ones bought next door at Pat O'Brien's. If you don't want to wait in line, a few "advance seating" tickets are sold online. 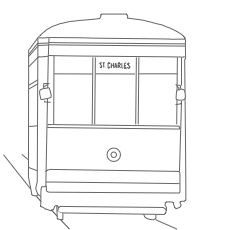 Make your way to St. Charles Avenue and hop onto the streetcar for a slow, scenic ride under the live oaks into the Garden District. The streetcar is still just $1.25 per journey (cash only) and will take you through row after row of storied mansions. Hop off around First Street and walk the five blocks past many esteemed houses (think author Anne Rice) to Molly's Rise and Shine for breakfast. 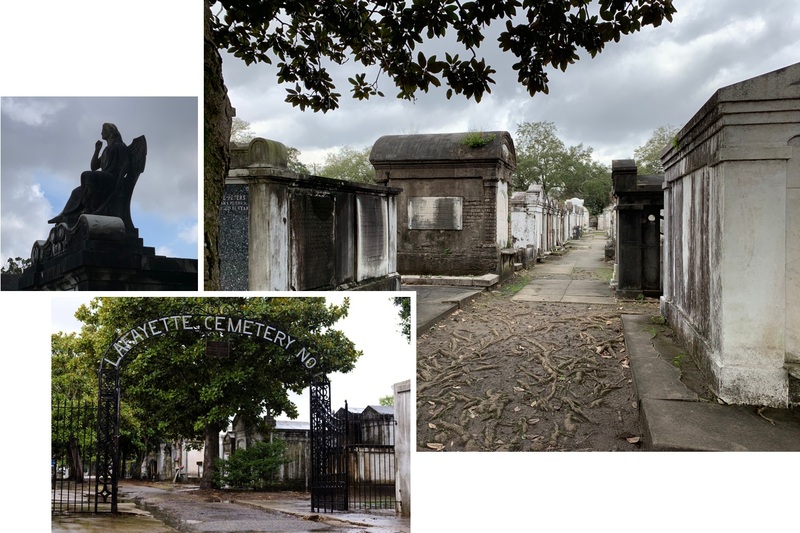 Then head over to Lafayette Cemetery No 1., one of the oldest cemeteries in the city. 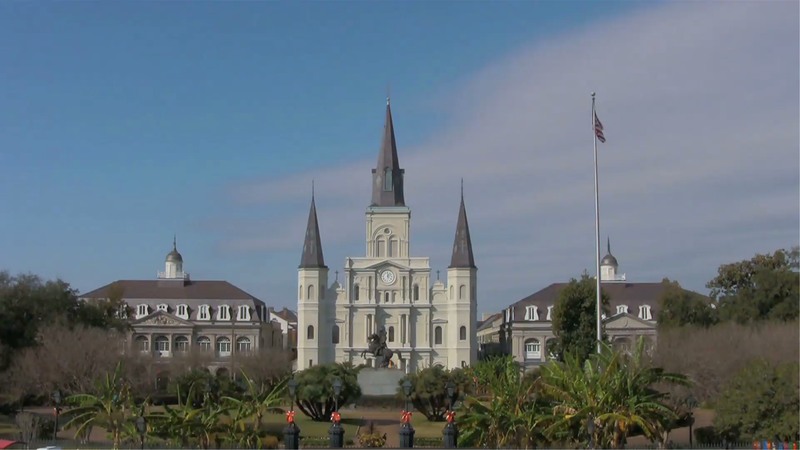 A popular location for movies that have been filmed in New Orleans due to its history and gothic beauty, the ornate tombs house remains laid to rest above ground because the water table is so high. It covers just one city block but contains more than 1,100 family and society tombs. Seemingly untouched for the better part of a century, the stone mausoleums are ravaged by time and make for a somber but vastly interesting experience. It was one of our favorite moments of the trip. Afterwards, wander around the neighborhood's leafy streets, lined with fine examples of Greek Revival and Italianate architecture. Magazine Street is home to many of the city's most popular shops. 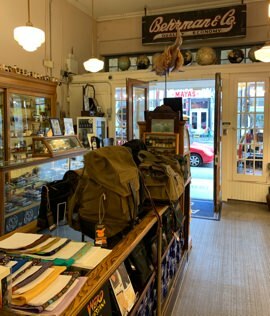 Billy Reid has a handsome outpost here (where the sales team happily brings bourbon or a beer to your dressing room). And there are plenty of home and antique stores, including Malachite or Hazelnut, which is owned and operated by Mad Men's Bryan Batt. Grab an easy lunch at Mahony's, a popular Uptown spot where we sampled a few more po'boys and a side of fried pickles. Then get cleaned up at Adian Gill, a barbershop and store that's also part museum. Along with cult-favorite grooming brands, the shop has antique display cases filled with an impressive collection of barber-based artifacts. 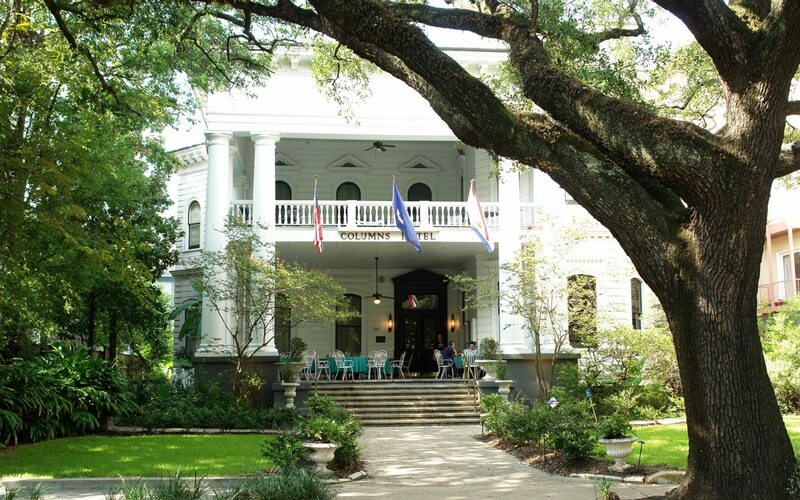 If you're looking for a late afternoon cocktail, stop by The Columns, a St. Charles Avenue mansion turned boutique hotel. It's a rare opportunity to step inside one of these great big buildings, and this one just happens to overlook the St. Charles streetcar line, and boasts an affordable and tasty happy hour menu. 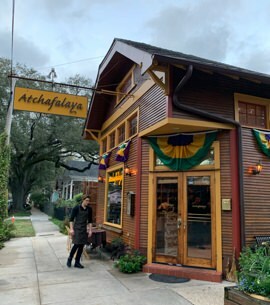 When we asked a local about wanting some cajun for dinner, we were turned onto Atchafalaya (pronounced at-cha-fuh-lie-ah). This neighborhood favorite serves down-home Southern classics with a contemporary culinary twist. We settle on crispy fried green tomatoes topped with buttered blue crab, braised Louisiana beef Bourguignon along with shrimp and cream cheese grits topped with andouille sausage and smoked tomatoes. The food is moan-inducing, the service impeccable and the atmosphere is fun and casual. To say you'll leave satisfied is an understatement. 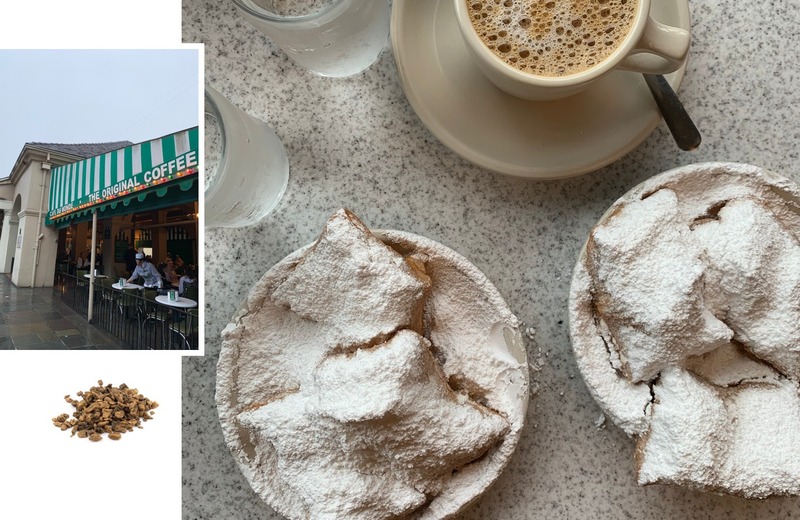 New Orleans is anything but an early riser, so take advantage and get up early and walk to Café du Monde for a breakfast. You'll walk right in and be able to grab an outdoor table with a striking view of the St. Louis Cathedral and tranquil Jackson Square. Trust us, once the hangover crowd wakes up, you'll have to wait in a line that snakes down the street. Du Monde's famed beignets are pillowy and piled high with a ski hill of powdered sugar. They're brought to your table fresh from the fryer with a strong cup of chicory coffee (extra milk please). And they're priced so affordably, you might even get an order to go when you're done (remember, New Orleans is about indulgence, not shame). Next, walk through the old streets of the Quarter and check out Voodoo Authentica. This is not the trashy, touristy voodoo, it's the real deal—a connection to the city's historic link to Haiti, which makes it all the more elusive and interesting. 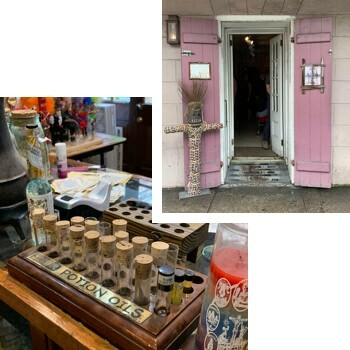 The shop doesn't scream—you'll have to look for a modest sign but once inside, you'll see altars and shrines, along with a variety of goods, from locally handmade voodoo dolls to gris-gris bags, some of which, can be made up on the spot by a practicing spiritualist. Once you've worked up an appetite, call a Lyft and head to Mid-City for the best fried chicken you'll ever eat at Willie Mae's Scotch House. Again, you'd be well-served to head there early as well. 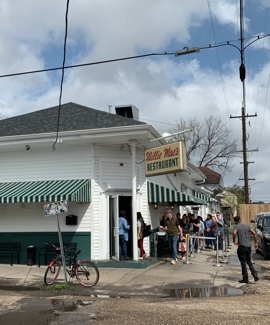 We got to Willie Mae's around 11:45 am and walked right in. Dubbed the best in the nation by everyone from Bon Appétit to the James Beard foundation, their homestyle fried chicken has been the house-specialty since it opened as a bar back in 1957. It's deliciously seasoned and juicy, yet the light, crispy skin is never greasy. Order some cornbread, some candied yams and a side of beans. Then wash it all down with a big glass of sweet tea. You've got two choices now: Head back to the hotel for a nap or take a nice long bike ride to work off that chicken. Swing by Bicycle Michael's, a full-service shop just outside the Quarter that will rent bikes by the half or full day. Trace the river on Woldenburg Park's paved bike trail or simply explore the city and various neighborhood's on two wheels. Try to keep the drinking to a minimum while biking, though. When you return, you're in the perfect spot for a night of music. 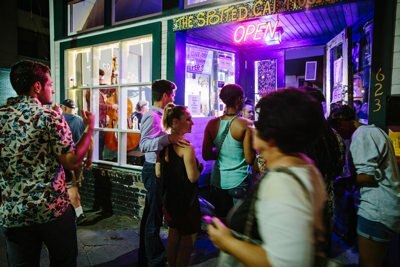 If Bourbon Street is where the tourists flock for a good time, Frenchman Street, lined with funky clubs, mom-and-pop restaurants and lively bars is the local's choice. You can spend your night going from joint to joint, hearing all sorts of music, as if turning the knob on a radio. Every bar has a different band playing and what's more, they're almost entirely free to get into (with merely a one-drink minimum). Make a reservation for dinner at Three Muses and enjoy live music while you eat local-style tapas. Then spend the rest of the night walking between such beloved venues as the Spotted Cat and Blue Nile. So there you have it; just one of the many relaxing yet rambunctious weekends you can experience in New Orleans. If I were to leave you with any parting wisdom, I’d say make sure to bring comfortable shoes. You’re going to do plenty of walking in this city. And maybe don’t chug your drink. 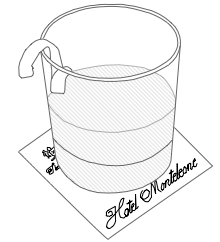 Relish in America’s most lenient alcohol laws, which allow you to sip and stroll with the city’s famed go-cups (the plastic cups offered at bars because the only rule is against open glass containers). Remember to keep an open mind and don’t stick to any plan too rigidly. This town has a way of pulling you into all sorts of unplanned adventures. And don’t feel guilty for enjoying yourself in the French Quarter. That’s what the neighborhood (and hell, the whole city) is there for ... to let those good times roll. The Wildsam Field Guides aren't your typical travel books. These pocketable paperbacks explore an area via prose and personality, mixing together helpful tips with local suggestions and long-form essays to get a true taste osf a place. “The Sound of New Orleans Jazz” is a playlist of nearly 300 of the best Dixieland hot jazz songs from legendary musicians.